Tracy Morgan is one of the most respected comedians in his field. Starring for seven seasons on NBC's Emmy and Golden Globe Award-winning 30 Rock, Morgan appeared opposite Tina Fey and Alec Baldwin as Tracy Jordan, the unpredictable star of Lemon's (Fey) hit variety show, TGS with Tracy Jordan. In 2016, he headlined a nationwide stand-up tour titled Picking Up the Pieces, and in May 2017, his stand-up special Staying Alive was released globally on Netflix. His show TBS’ The Last O.G., which he created, produced and stars in, will premiere this year. Additionally, Morgan was selected to receive a star on the Hollywood Walk of Fame in the 2016 class. From his work on 30 Rock, Morgan has received an Emmy® nomination in the Outstanding Supporting Actor category and been nominated multiple years for the Supporting Actor NAACP Image Award. The 30 Rock cast has also won the Screen Actors Guild Award® for Outstanding Performance by an Ensemble in a Comedy Series. The beloved series came to an end in January 2013. Outside of the show, Morgan also received an Emmy nomination for Outstanding Guest Actor in a comedy series in 2016 for hosting an episode of Saturday Night Live. Morgan has also had the opportunity to be a part of some of the most successful animated films in recent years. In 2009, he made his animation debut lending his voice for Jerry Bruckheimer's G-Force, a combination live-action/CG film. The film opened #1 at the U.S. box office and was celebrated by audiences worldwide. In 2013, he starred as the bulldog, Luiz, in the film Rio and again in April 2014 when he reprised his role in Rio 2. Morgan's voice can also be heard in the Oscar®-nominated film Boxtrolls, as one of the film's antagonist, Mr. Gristle. Morgan has headlined across the country and abroad on various tours and festivals for his stand up comedy. He was first introduced to television audiences in his role as Hustleman on the hit comedy series Martin. He went on to join Saturday Night Live in 1996, appearing for seven seasons and creating such memorable characters as Astronaut Jones and Brian Fellows. 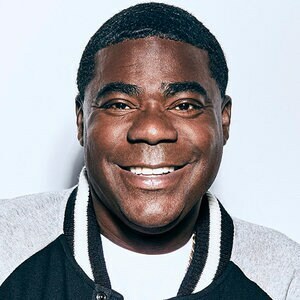 After leaving SNL, Morgan went on to star in his own comedy series, The Tracy Morgan Show, and voiced Spoonie Luv on Comedy Central's Crank Yankers. Additional film credits include Cop Out; the remake of the British film Death at a Funeral; First Sunday, opposite Ice Cube and Katt Williams; The Longest Yard, opposite Adam Sandler; Jay and Silent Bob Strike Back; Head of State; Son of No One; Why Stop Now; and Fist Fight. Morgan currently resides in New Jersey with his wife and their daughter.